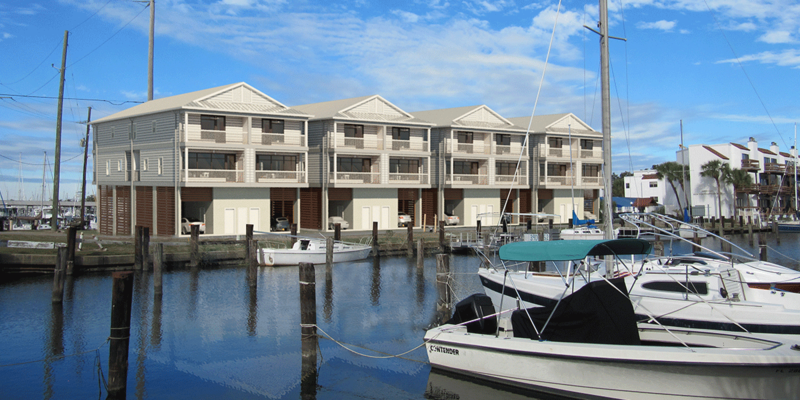 The Tides at Orleans Marina is a luxury waterfront condominium development located on Pontchartrain Boulevard in New Orleans. Four three-story quads, each containing four units, have private, covered parking spaces on the ground floor underneath the buildings. 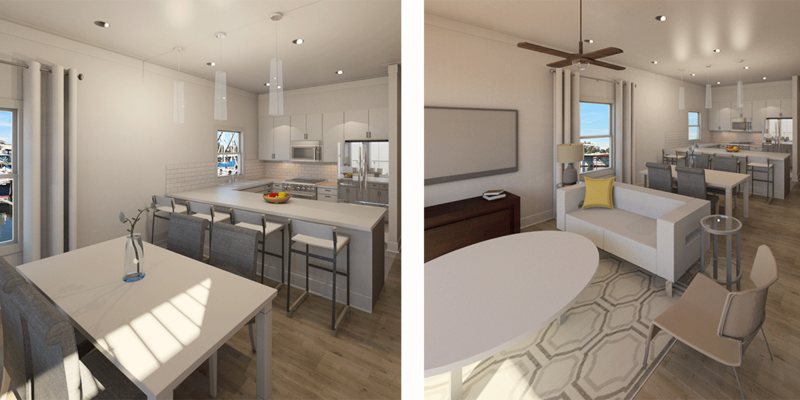 The 2-bedroom, 2-1/2 bath units have an open floor plan with 1,750 sf of living space. 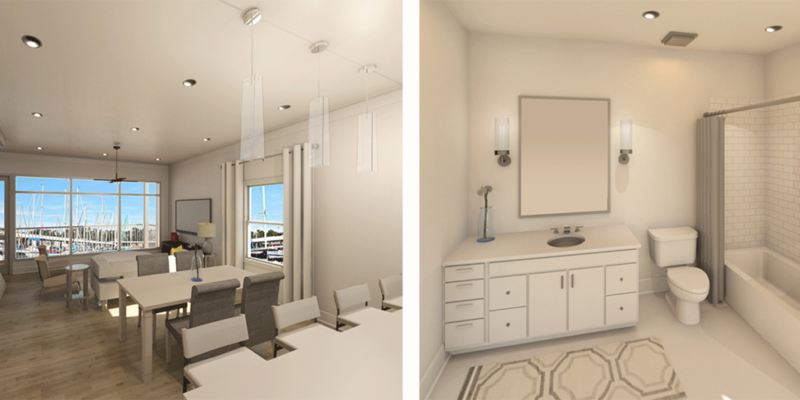 All units feature private balconies on the first and second floors, walls of windows and premium finishes throughout. 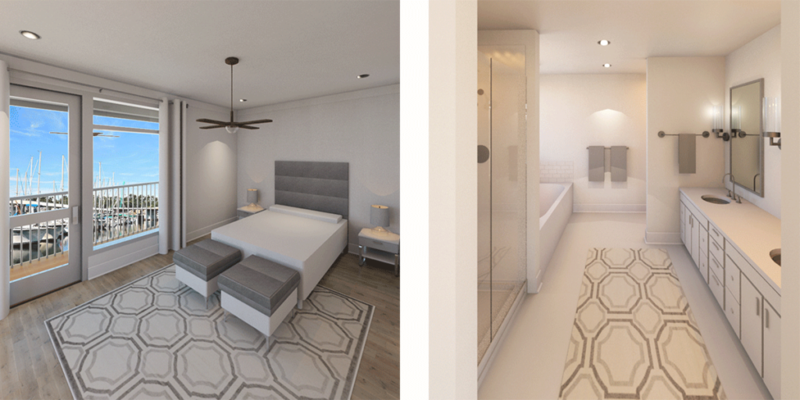 Private elevators bring residents directly to their first floor living room or second floor master bedrooms. An outdoor amenity area features a relaxing pool and landscaped greenspace.